How do I Soft Delete a site? 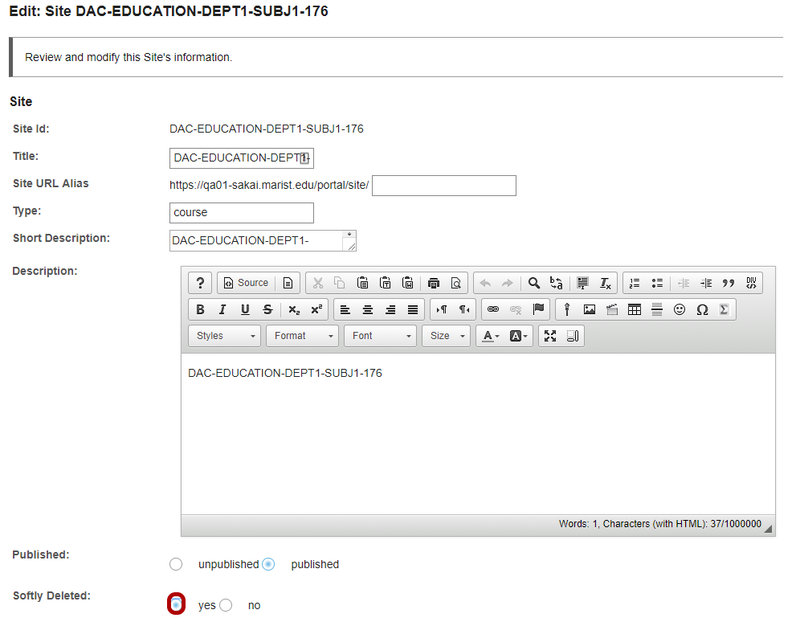 Sakai Community DocumentationSakai 12 Administrator Guide (English) SitesHow do I Soft Delete a site from the Sites tool? Zoom: Locate the site you want to soft delete. Zoom: Select the Yes radio button next to Softly Deleted. 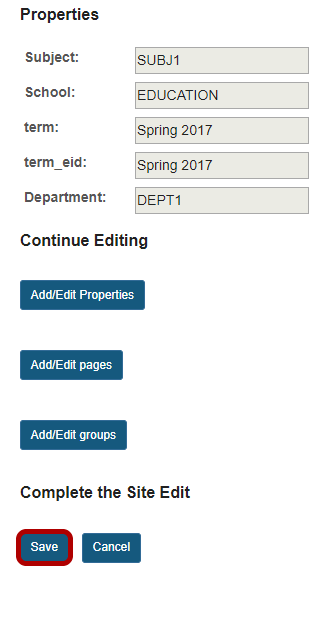 Prev: How do I edit a site using the Sites tool? Next: How do I add a stealthed tool to a site?